BELIZE CITY, Belize, January 18, 2019 – To celebrate the start of another year for crypto, Bitcoin PR Buzz are offering up to $200 off all PR packages, during January 2019. With over 5 years experience and over 600 clients, Bitcoin PR Buzz has worked with some of the biggest names in the industry including ARK, LISK, and UTRUST. 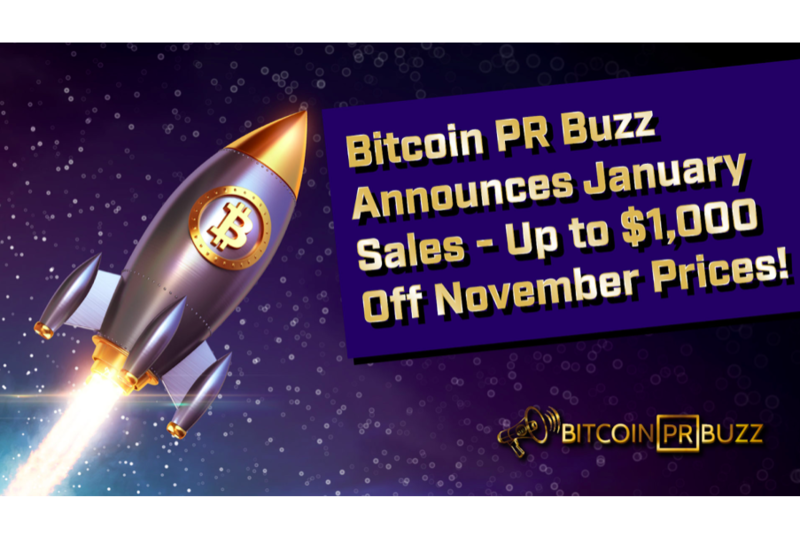 Bitcoin PR Buzz’s upgraded Bitcoin press release services include guaranteed publication of not just press releases, but also featured articles on BitcoinNews.com, CCN.com, The Merkle, Coinspeaker, Oracle Times, The Bitcoin News, Cripto Noticias, Criptomoedas Facil, ZYCrypto.com, Bitcoin News Latin America, Brazil, Arabia and Indonesia, and PR publication on 200-400 other online news outlets including Yahoo Finance, Marketwatch, Reuters.com, NBC, Fox, WND.com, Digital Journal, International Business Times, San Diego Tribune, Boston Globe, and much more. Social Media Management Services – Covering Twitter, Facebook, and Instagram, a university-trained, native English speaking Social Media Manager will provide analytics and take fortnightly conference calls to keep one's message and strategy as impactful as possible. For more information please visit the website, or to speak to a London-based Account Manager today, contact the team at [email protected].